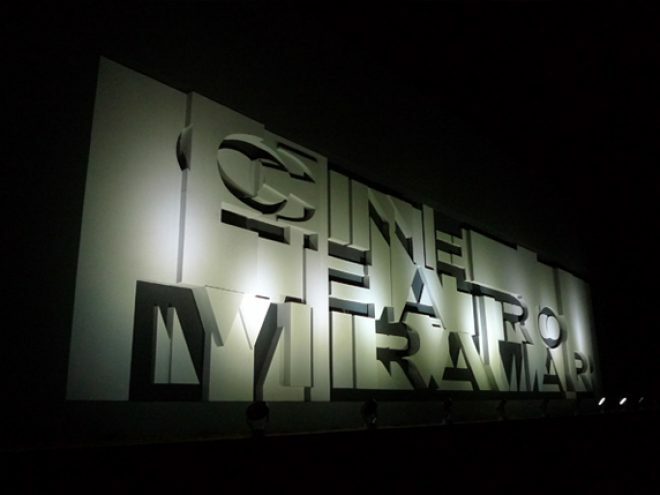 The Cine-Teatro Miramar reopened on March 30th in Havana in a gala ceremony attended by Cuba?s Minister of Culture, Rafael Bernal. Cuban musicians along with music and dance students from Cuba?s art schools played and performed to applause by the Cuban and British audience at the unveiling of the building on 5ta Avenida at the corner of Calle 94 in Miramar. The Cine-Teatro Miramar has been restored in a seven-year project by the Music Fund for Cuba which has so far raised ?311,000 of its ?350,000 target to bring the dilapidated theatre, which lay unused for 18 years, back to life. ?What a wonderful dream has come true. Thank you to the thousands of people in Cuba and Britain who have given up their time and energy to reopen the theatre. ?We hope this building represents the friendship between the UK and Cuba. Standing here tonight makes me very very proud but above all we should feel proud of the dancers, singers and performers because this country keeps developing its society and culture and is an example to others in the world.? ?This is a most exciting moment for me and my son. We are all very proud of this moment and I do believe Kirsty is flying over this building tonight.? The gala ceremony, documented by famous Cuban filmmaker Roberto Chile, featured performances by dancers from the National Dance School, singers and musicians from the National Music School and opera vignettes by Habana Clasic including Salida de Cecilia and a rousing Nessun Dorma by a trio of male singers. Cuban musician Omar Puente performed on the violin with members of the National Music School and Eliades Ochoa and grupo Jelengue performed a number of traditional Cuban songs including Guantanamera. One of the evening?s highlights was the performance of Guinea-born Lassana Diabate from Mali who played the balafon (an elaborate 22-key xylophone). His mastery of this instrument with its beautiful timbre and vast range kept the audience spellbound. The new theatre will be open to musicians, dancers and performance artists from the circus school. In its restored state it features a new auditorium and 460 new seats, a stage that has been sprung and extended by 12ft, new sound and lighting rigs, acoustic tiles, a weatherproof roof and hung ceiling, an air conditioning system, new rehearsal space, dressing rooms and a caf?/piano bar. A moveable screen will ensure cinephiles get to see movies and multimedia performances too. The foyer also sees panels explaining the legacy of Kirsty MacColl in both English and Spanish. It?s also hoped that the Kirsty MacColl Library of books, records and music will eventually be moved to the new theatre. The Cine-Teatro Miramar has come a long way since it was built in the 1950s. Erected as a 600-seat theatre prior to the 1959 Revolution, it fell into disrepair, like many of Havana?s buildings, and slowly deteriorated due to a lack of funds to repair it. The Music Fund, established in memory of singer-songwriter Kirsty MacColl, was set up by her mother, Jean, after Kirsty died in a power boat accident in 2001 in Mexico while scuba diving with her young sons. Kirsty MacColl had been to Cuba many times and loved its music. Since its foundation, the Fund has worked with Cuba?s music and art schools and brought some 11,000 ballet shoes, as well as strings, reeds and musical instruments to budding dancers and musicians across the island. Working with its Cuban partner, the National Centre of Arts Schools (CNEArt), Rob Miller said thousands of pounds of equipment including ballet shoes donated by the Royal Ballet in London and Birmingham, manuals, and reeds had been brought to Cuba since the fund?s foundation 11 years ago. ?I will be proud of making this work. It?s a lovely thing to celebrate the talents of Cuba. Arts are available to all but a number of things are lacking because of the US blockade and so it?s great to be able to help everybody. ?This project is also about the friendship between Britain and Cuba and is a lasting tie. The restoration of the theatre is a permanent legacy of this friendship between our two countries.? With fundraising still on the go, supporters can still donate to the project or sponsor a seat for ?150 in the new auditorium (which guarantees a plaque dedication on a seat). Or, those in search of adventure can take part in the annual sponsored Cuba Cycle Ride. For more information: www.musicfundforcuba.org.uk. Twitter: @CubaSolidarity.